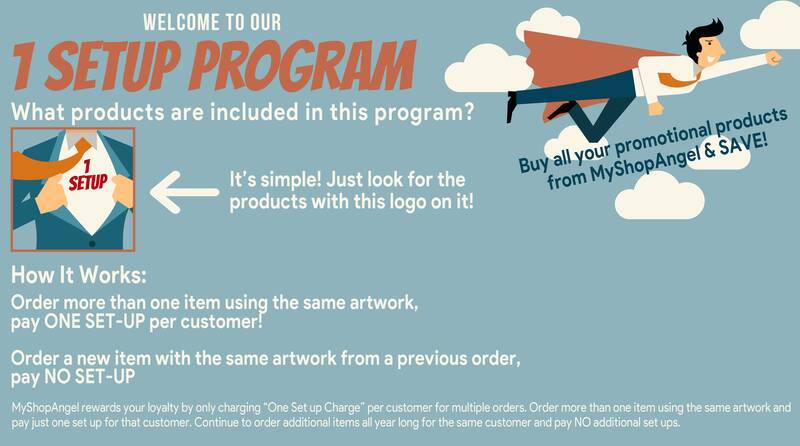 With our new program, the sky's the limit! Print your logo on several different products for only one setup... that is amazing. Let your business take advantage of this amazing offer and promote your business to moon and back. You can find an example of some printed products in this program below.